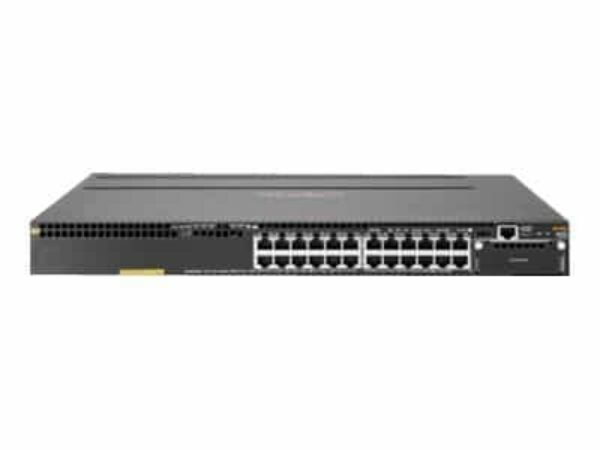 The Aruba 3810M 24G PoE with 24 ports and 1 slot Switch enables perfect mobile campus with SDN optimizations with low latency and adaptive power consumption and designed to deliver high-performance stacking with up to 336 Gb/s of stacking throughput and increased resiliency. The Aruba 3810M Switch Series supports Aruba ClearPass Policy Manager to provide unified and consistent policy between wired and wireless users. Simplified implementation and management of guest login, user on boarding, network access, security, QoS, and other network policies on the network.